Our garden is waking up. It was a slow start... years practically! But we have buds, and blossoms. We have the pumpkins that volunteered themselves from the compost heap. 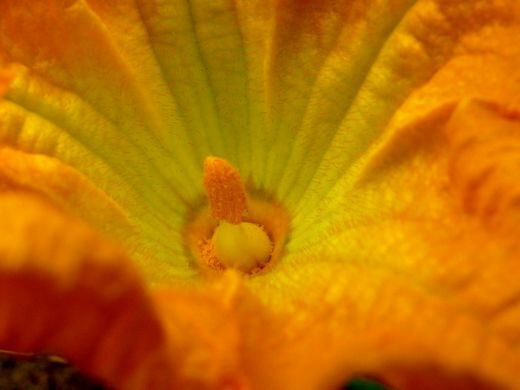 I love to be in the garden early enough to see the massive she-flowers and he-flowers of the pumpkin vine wide open, waiting for pollinators to drop by for a visit. And they are almost as pretty, certainly amazing, when they telescope closed. 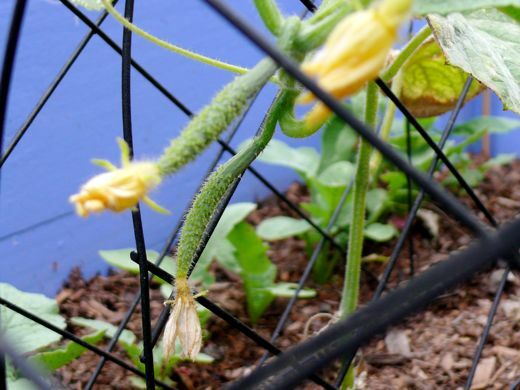 We have zucchini, and we have these itty bitty cukes. I just saw a recipe where you give the zucchinis the french fry treatment. Oh dear... now I am wandering... "Cream Puffs in Venice" has a garden post too... hers looks amazing... I'll be right back... sorry, hold on a sec. I love visiting gardens. It's inspiring. For a rosy outlook, look no further than "Nikkipolani." "My Home Among the Hills" gets in the garden with the pumpkins, beans, and garlic, and he cares for bees too. "Em and the Gang" are growing Whoppers and Oreos. And Em is a bee keeper too! The bee keepers really impress me. 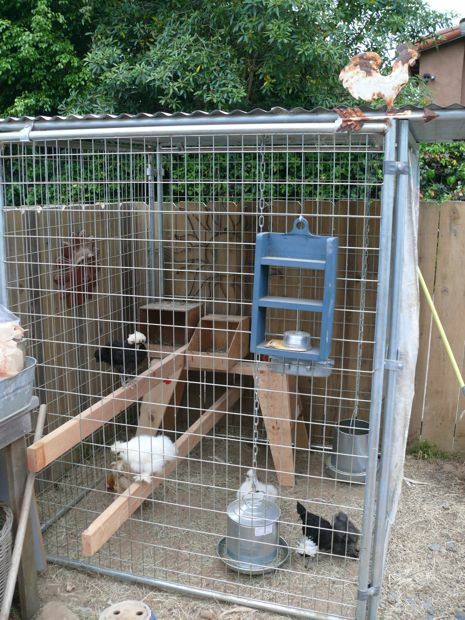 It was graduation day at "Mucky Boots Farm" where the chickies have moved in to their refurbished coop, and the poppies grow in every size and color. I especially want to remember Miriam's imperfect widsom. Many good things come from the gardens of "Bear Swamp Reflections". I find inspiration even in some random pictures from "Try to Catch The Wind." An old thrift shop find was recently unpacked. 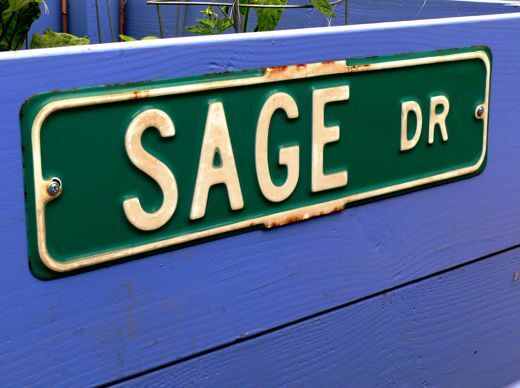 It looks good posted on the garden bed, where we happen to be growing some sage. Here is another unpacked treasure... my rooster is a ruster. The sun, water, time, the journey... it's not always easy, but there are moments, experiences, people, blossoms, and flavors that make everything so very, very good. 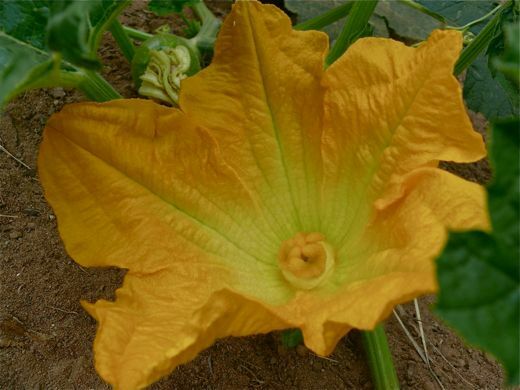 I love those pumpkin flowers! They are so deliciously lovely! And that rooster is pretty cute too! 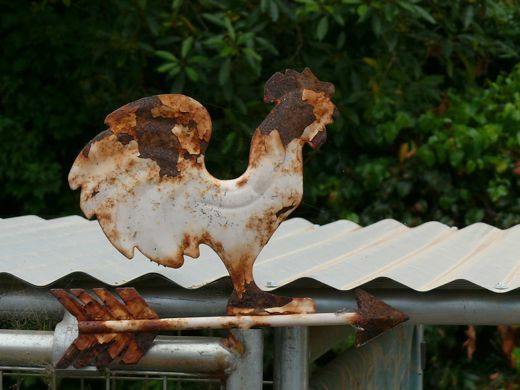 I love your rusty rooster - he is perfectly placed on your little chicken house. And the garden ... envy ... I have VERY rocky soil. Maybe someday I can have a small raised bed garden ... hmmm, someday. Taking time in the midst of all the jobs to be done to just soak it all in and appreciate how amazing it is that the things that we plant actually grow - that's time worth taking. Thanks for reminding us all to do it! 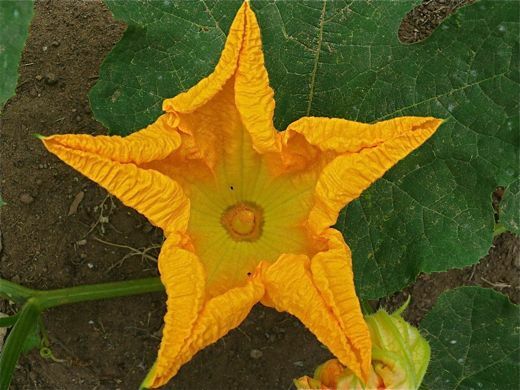 Your pumpkin blossom photos are just beautiful. your garden stars are soo beautiful. I love that your ruster is keeping watch over the chicas! And that street sign is awesome! 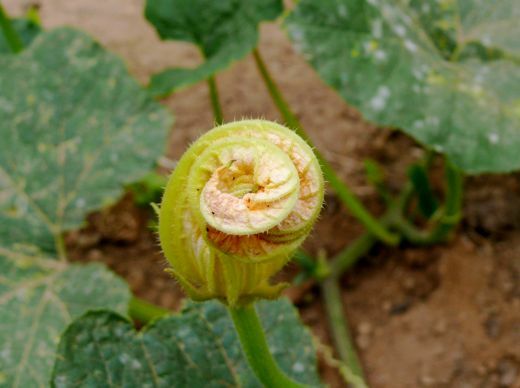 Your garden looks a lot like mine, especially the volunteer pumpkin vines. Ours is taking over the entire garden. Thank you for the mention, chica! I so love your photos... wonderful! I love seeing blooms like yours. My pumpkins and squash are covered with them...and the bumblebees are all over them! My honeybees don't seem to care a bit though they are all over the corn we are gorwing. Anyhow cool "star" pics! 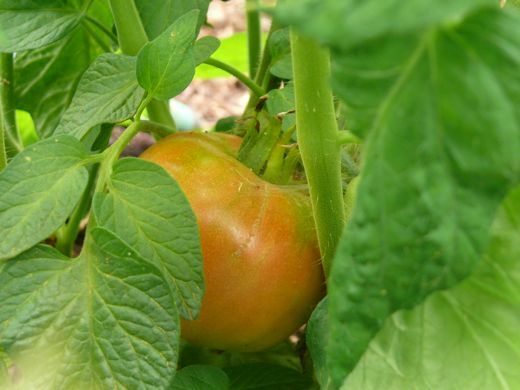 Wondrous and gorgeous closeups of your growing garden!